Dump scows SE103 and SE104 are both 2,000 cubic yard six pocket bottom dumping scows. 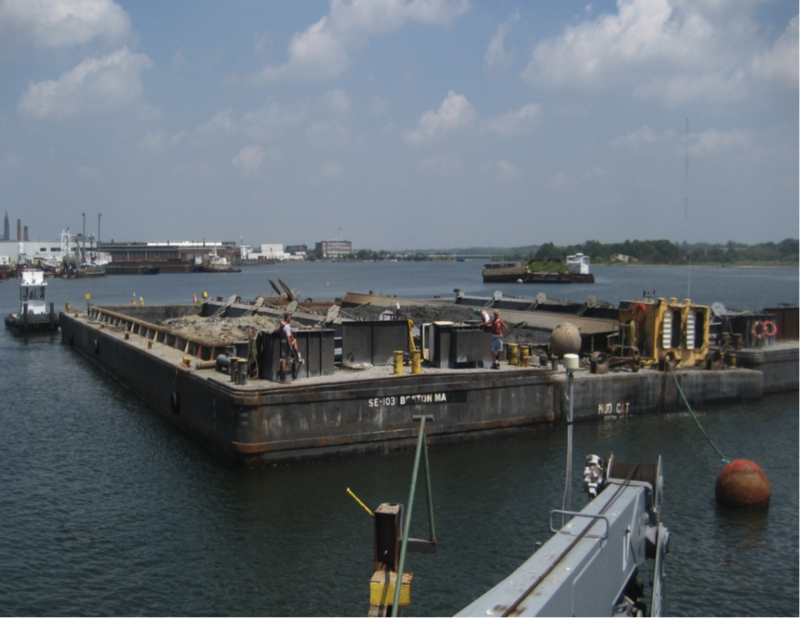 Both dump scows received an extensive re-fit in Boston, MA during the summer of 2005, which included the addition of automatic hydraulically actuated dumping doors. Their dimensions are 170ft. long by 42ft wide with a molded depth of 16 ft. Both dump scows are designed to provide a safe and efficient transfer of dredge spoils to approved or open water or confined disposal facilities. Each is equipped with and approved to participate in the USACE Automated Disposal Surveillance System (ADISS) and Silent Inspector (SI) certified.